SOUTHWICK-Marie L. Theriault, 83, passed away on Wednesday, April 3, 2019, at Baystate Noble Hospital in Westfield, MA. Marie was born in Hartford, CT on May 16, 1935, to Vincenzo and Antonietta (Rizzo) Pugliese. 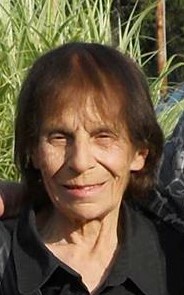 Marie was a longtime Southwick resident. As a young lady Marie was a volunteer Candy Striper at Hartford Hospital, a position she found great joy in. Later in her life, she enjoyed volunteering her time at Louie B’s Lakehouse and the bread and donut shop in Southwick. The thrill of lottery scratch tickets brought much joy to Marie’s otherwise simple life. Many will remember Marie for her caring way and her desire to make sure all around her were happy and comfortable, especially ensuring they had plenty to eat. Marie is predeceased by her parents and her life partner Ted Mountain. She leaves her children, Paul Theriault, Jr., Anita Akin, Gerald Theriault, Lisa Theriault, Melanie Vincent, and Joseph Theriault, her brothers, Victor Pugliese, and Louie Pugliese, her grandchildren along with many other family members and friends. All services for Marie will be private. Funeral arrangements have been entrusted to Avalon Life Celebration Center & Cremation Services, LLC, 691 College Hwy. Southwick, MA 01077.